Kachori Wala as the name suggests is a small restaurant serving a variety of kachoris to its diners and some more delicious food. 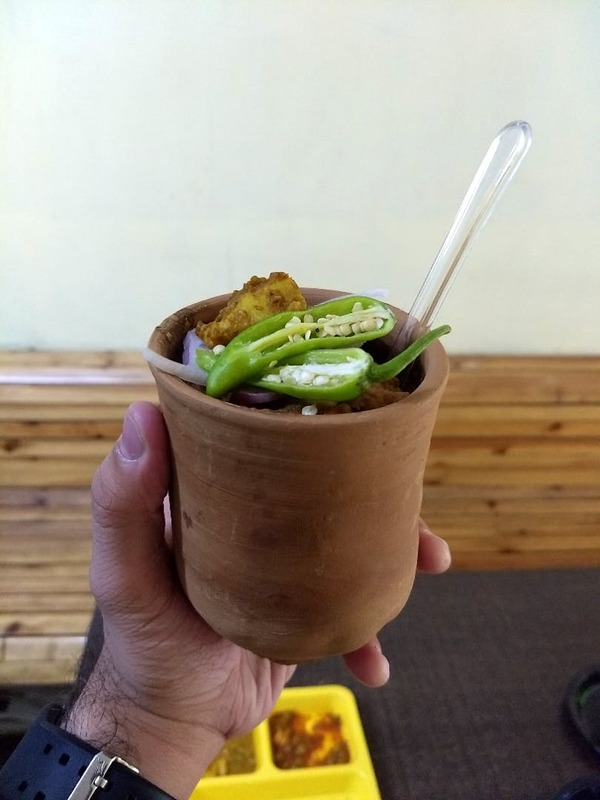 Being a pure vegetarian restaurant, they have some very unique items like Kulhad Chhole Rice, Kulhad Rajma Rice, and Kulhad Kadhi Rice which is basically rice with one of the curries served in an earthen cup making it one pot meal. They have a Special Meerut Kachori on the menu, it's served with aloo sabzi, chhole, and matar paneer. Giving a twist to the regular kachori, they also have Maggi Kachori and Chinese Kachori. If you want to try each of their kachoris, try the Kachori Basket which has two of each kachori and is served with legumes and chutneys. Apart from this, they have thalis, chhole bhature, chhole kulche, and snacks like gol gappe, samosa, tikki, burger, and more. Even though the place is extremely pocket-friendly and the food is freshly made and of good quality, since it's a small restaurant seating might be an issue if there is a big group. In such cases, doing a takeaway or getting food delivered at home is a better option.